From a ship carrying a mere 1400 passengers to one with a full capacity of more than 2600 on board was something of an eye-opener. After all, I’d always cruised on more intimate smaller ships. But despite its size – yet not in the mega liner bracket – Koningsdam - did not disappoint. There’s enough space on the ship to stop other passengers getting under your feet and its efficient and ever-smiling 1000 well-drilled crew members with a combination of 39 nationalities were always on hand to solve any problems – big or small. Launched in 2016, the sleek-looking 12-deck Koningsdam, at 99,836 tonnes, is a sophisticated cruising experience, with dining, entertainment – from poolside movie nights to classical piano concerts topping the bill. HAL puts a strong emphasis on food and with the likes of Rudi Sodamin, who’s claimed to be the most decorated chef on the world’s oceans, on board – little wonder there’s a rush for the best dining room spots, which serve 10,000 meals a day. Appetisers: Papaya with a rainbow of fruit, jumbo shrimp cocktail or foi gras with apple tarte tatin. Soups and salad: Roasted parsnip soup, chicken and orzo soup or apple, pear and cucumber salad. Entrees: Mushroom ravioli, cilantro-hazelnut crusted cobia, surf and turf, double pork chop with Caribbean hot pickled-cabbage relish, Asian-style rotisserie duck, or pistachio and cheese-crusted eggplant piccata. Desserts: Flourless chocolate cake, almond orange cake, passion fruit cheesecake, crème brulee, sliced fruit plate or tiramisu. Koningsdam boasts 12 restaurants, including fine dining at Sel de Mer, the Pinnacle Grill, Canaletto and Tamarind, where you pay up to US$50 for the pleasure. And it was at those we lashed out on and found par excellence. 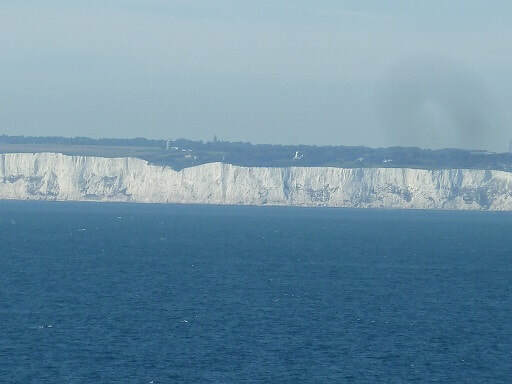 My partner and I had done our homework well before the cruise and decided to ‘do our own thing’ - rather than ship-organised excursions - at the various ports of call in England, Portugal, Spain and Gibraltar. 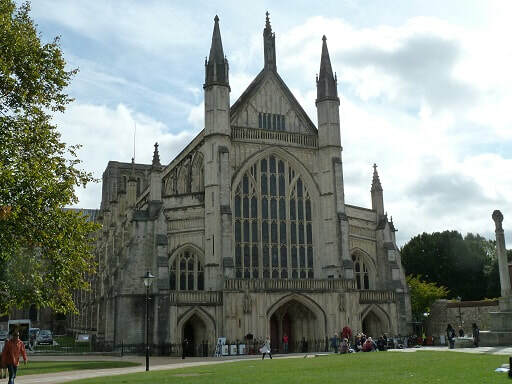 At Southampton, the first stop, we decided to take the 20-minute train trip to Winchester, where you step into more than 1400 years of history at its magnificent cathedral. It’s a place where history has been made by kings and queens – and by ordinary people. General tours of the cathedral last about an hour and are free of charge. After more than 36 hours at sea, Koningsdam docked at the northern Spanish port of A Coruna, from where we took a cheap train ride to Santiago de Compostello. It was here in the Cathedral of Santiago where we heard the voice of an angel – one of the unexpected highlights of our onshore activities. It was only by chance that we managed to sneak into the packed cathedral having first been blocked by a doorman, who suddenly changed his mind and ushered us in “just for a peak”. The Cathedral Mass had been well underway before the angelic voice of a nun left everyone mesmerised and we stayed for the entire religious service. But we still had enough time to explore the huge cathedral museum’s treasured art and tapestry collection. 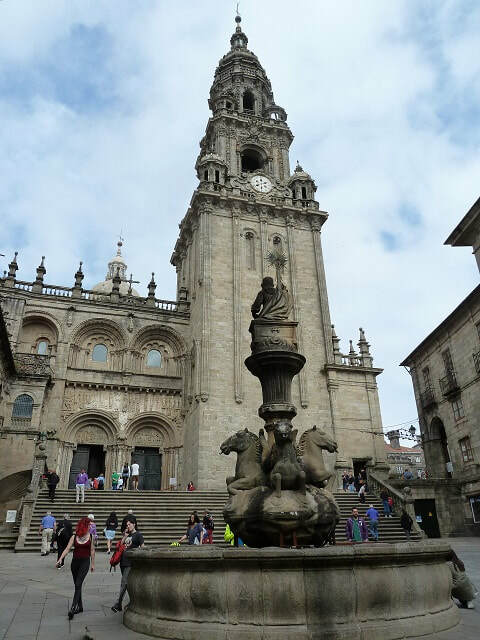 The city of Compostela’s Obradoiro Square is surrounded by magnificent buildings, including the cathedral, town hall and the 15th century Hotel of the Catholic Kings. In Portugal, the distance between port and city forced us to pay (US$39.95 each) for a coach – one of eight ship-booked excursions - to take us to the centre of Porto. This colourful city’s busy streets were packed to the rafters, so we opted for a three-euro ride of more than one hour on one of the city’s old trams. 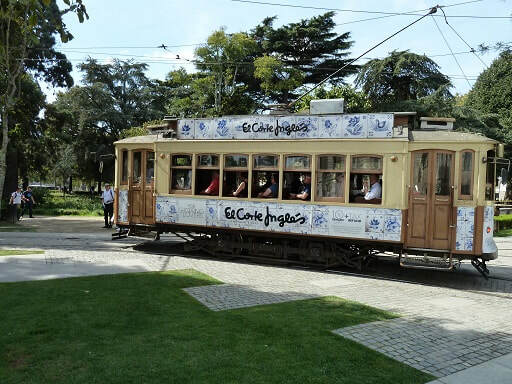 The Porto Tram City Tour circuit, operated by fully-restored trams of the 1920s, 1930s and 1940s, offers visitors the chance to relive part of the city’s history through one of its main protagonists – the tramcar. 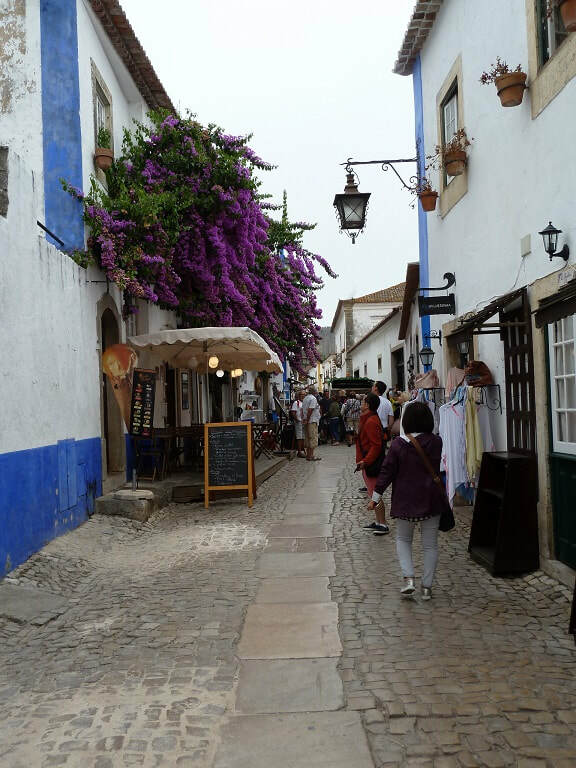 It was the second mainland highlight – the third being on a ship-booked excursion to Obidos - a quaint medieval town 75 kilometres from Lisbon which, like Porto, was brimming with activity. On the way, you’ll see forests of eucalyptus trees – imported from Australia – many of them used for paper production. According to historians, the origins of Obidos are lost in the mists of time, with suggestions that it has been inhabited since very early times. Today, it’s a thriving tourist town, regarded as the pearl of western Portugal. Along its narrow, cobbled streets you’ll discover, among many other things, a medieval fortress built in Roman times, barbican tower, aqueduct and fountain, pillory and a beautiful church - considered to be Obido’s most important edifice - lined with blue and white tiles from the 17th century. 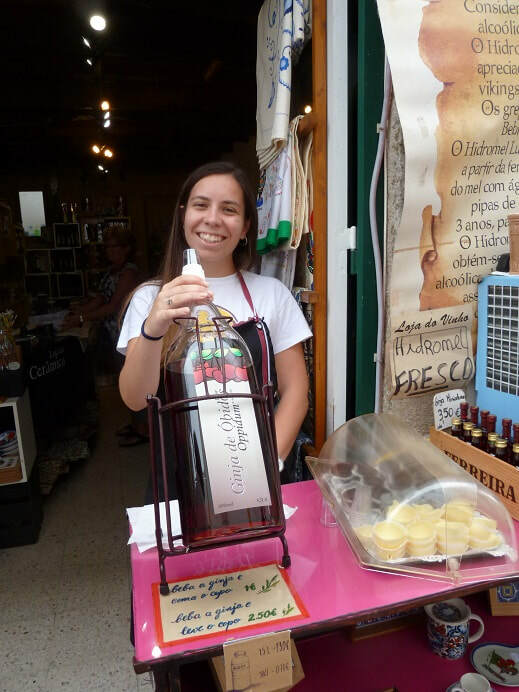 Don’t miss out trying a local liqueur called simply Ginja. It’s made by infusing ginja berries (sour cherry) in alcohol (aguardente brandy is used, with added brown sugar and other ingredients). It’s served in shot form. From Portugal and back into Spain, Koningsdam berthed at Huelva – a disappointment for those visiting the town, because it was a Sunday and everywhere was closed – even the pubs. 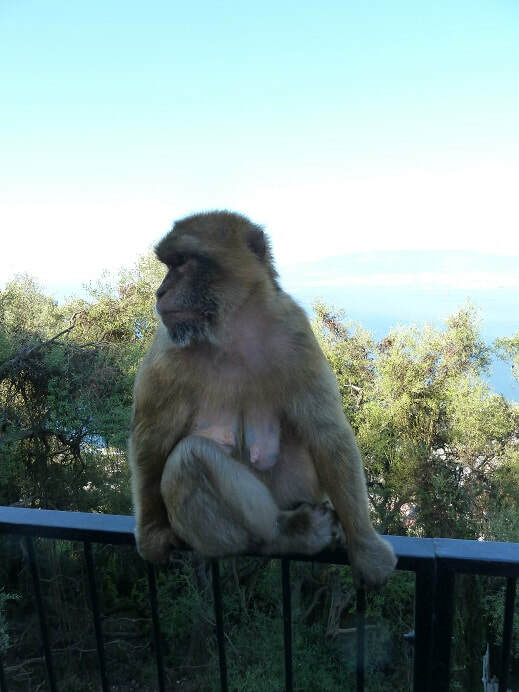 Surprisingly, Gibraltar, more than made up for boring Huelva. *St Michael’s Cave, long believed to be bottomless. 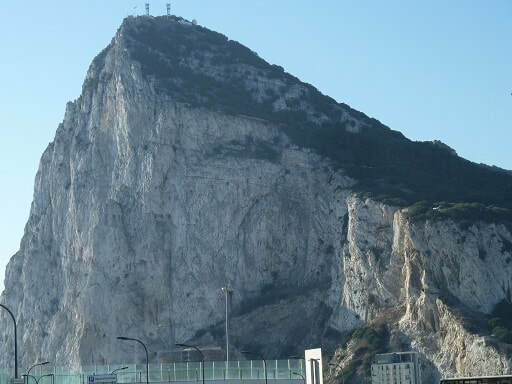 *The airport runway that cuts across a main road which stops traffic coming and going into Gibraltar when planes are arriving or departing. 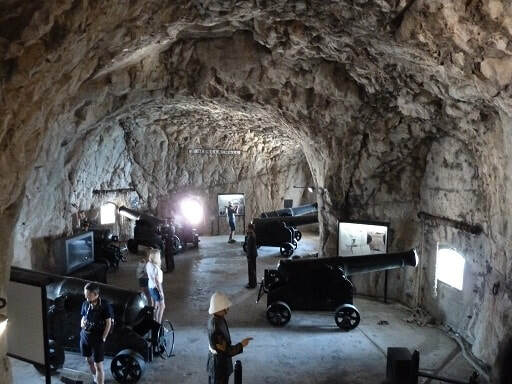 And there’s much more to captivate visitors. 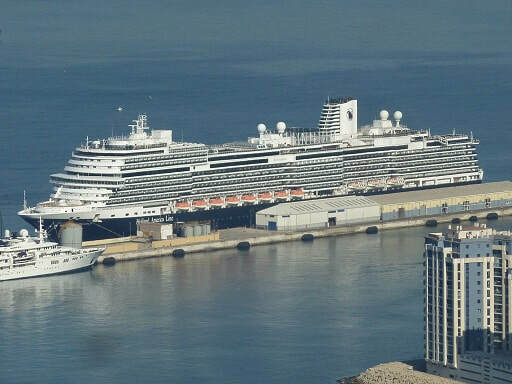 With another large cruise ship in port, Cartegena – in Murcia, Spain – was swarming with tourists buying last-minute souvenirs. It was also Kongingsdam’s final port of call before docking in Civitavecchia near Rome. But a Spanish horse ranch and show, a city trolley train tour and a monastery and a meeting place for Murcia’s high society didn’t warrant what was left in the euro kitty. Koningsdam will only remain the newest ship in HAL’s fleet until December 01 this year. That’s when the cruise company’s latest ship – Nieuw Statendam – will launch. It will be Koningsdam’s sister ship and with the same capacity. In 2019, Nieuw Statendam will take over the ‘Iberian’ cruise. Its 19-day ‘Norse Legends & Iberian Adventure’ (September 8-27) will visit Cork in Ireland, Vigo in Galicia, Spain and Cadiz in Andalusia, southern Spain, rather than Southampton, Porto and Huelva as Koningsdam did this year. 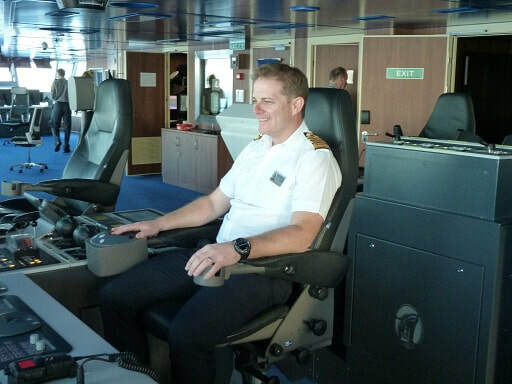 Koningsdam has one of the youngest captain’s in HAL’s fleet – and he’s already almost completed 20 years’ service. Captain Noel O’Driscoll, who hails from Castletownbere in County Cork, in the south-west of Ireland, had already served on five HAL ships before taking over the help of Koningsdam. His Hungarian wife also works on board as an assistant excursion’s manager. They met on HAL’s Westerdam in 2011. Downside: the number of people wearing shorts and jeans who managed to escape crew attention as HAL points out that these casual clothes are not acceptable in the ship’s main dining room. Also, no steps were taken to stop bad-mannered passengers discarding their shoes and putting their bare feet up on tables and chairs.